Ready for work! 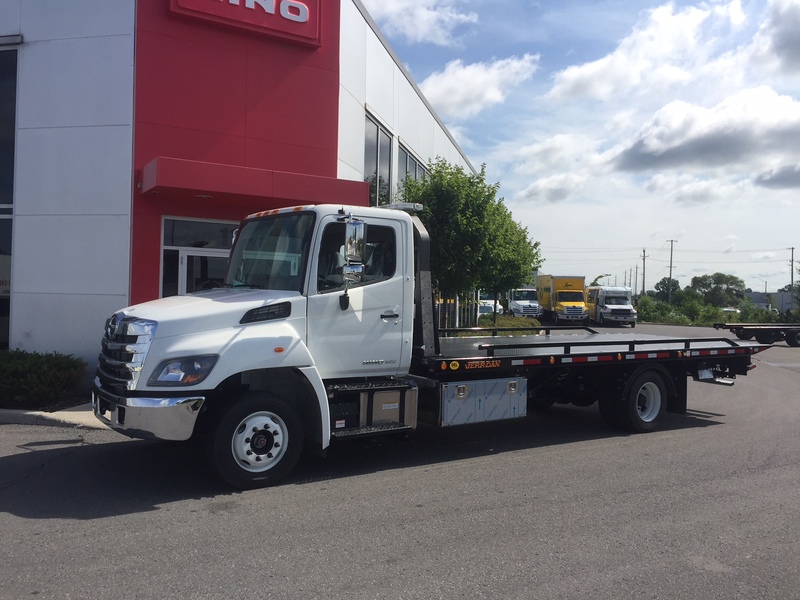 This new 2019 HINO 258D Low Pro and Jerr-Dan steel 7.5 ton Low Profile Deck is equipped with a 230 HP engine & 520 lb/ft of torque, Allison 2200RDS automatic transmission, hydraulic brakes, Air ride suspension, AM/FM/CD, Bluetooth. 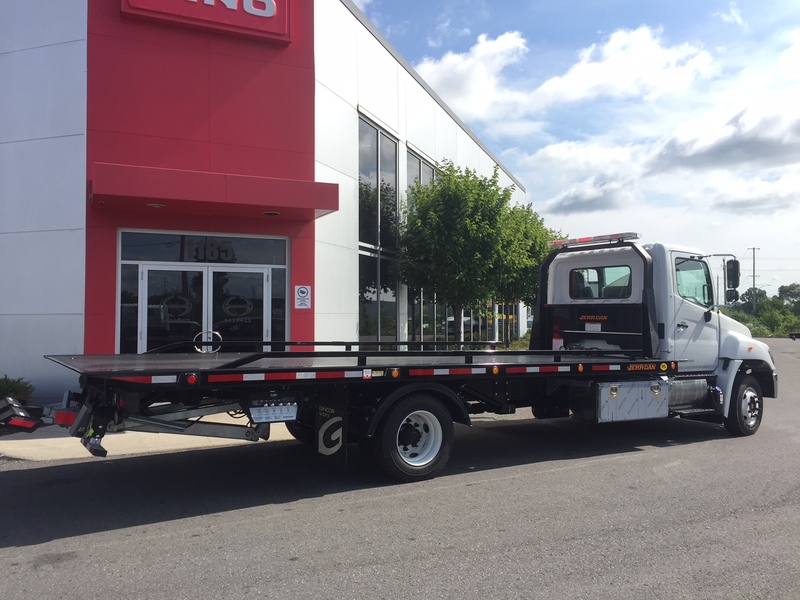 This 22 ft Jerr-Dan deck has a one piece checker floor, fixed headboard with 62’’ Whelen 10 head LED light Bar, 8 000 lbs Ramsey winch, dual manual free spool, two 48‘’ aluminum tool box, 3 500 lbs galvanized wheel lift, all required lighting, safety straps and chains. 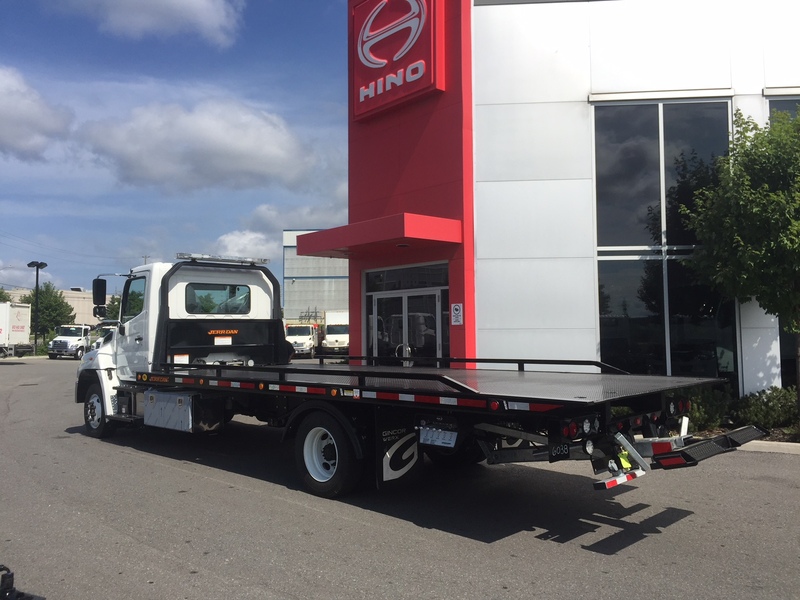 Take advantage of Hino’s Premium Protection plan with scheduled maintenance coverage for 3 years/150,000km. 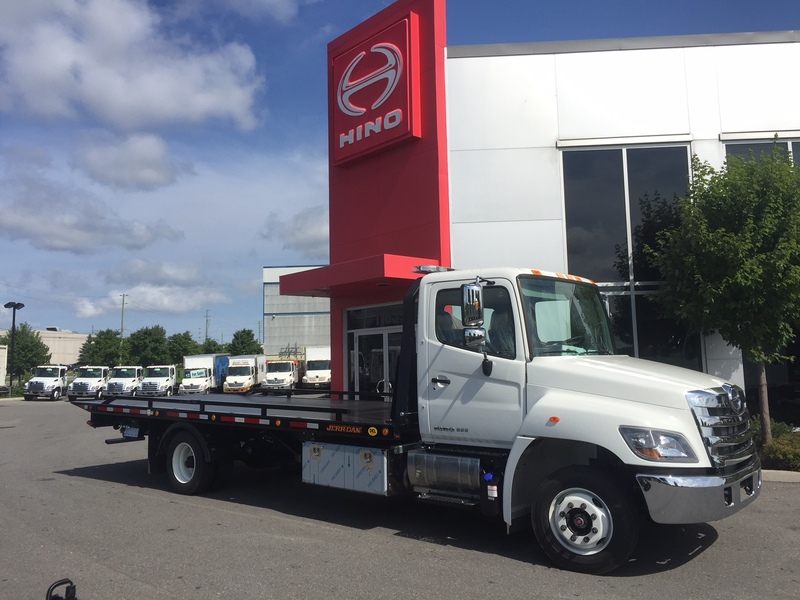 Hino 5 year/400 000 km warranty, protecting your investment, Hino provides quality products backed by a comprehensive warranty. Custom finance and lease terms are available and can be tailored to fit your business. We have an option to help your every need. Please stop in or call Dan at 819-923-5419 for further details.